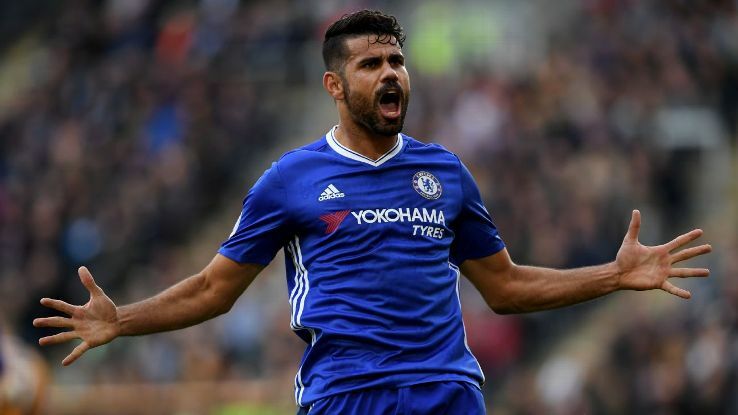 Diego Costa is featured heavily across the media this morning and on the internet with an interview given to Spanish Newspaper - Marca. He has stated that it was the wrong move to join Chelsea whilst taking aim once again at Antonio Conte. "It was a very bad moment, but it wasn’t my fault. People said things, but time puts everything in its place; look where the coach is, look at Conte. I was wrong going to Chelsea, because of their way of dealing with things. Cholo [Atletico coach Diego Simeone] is a direct coach, and when he doesn’t love you, it’s clear and he shows it. At Chelsea it was the opposite. I had the option of returning to Atleti and when Chelsea told me to go back to training with the reserves, I was clear that I was going back to Atletico, even though there were other offers. If not, I would’ve stayed in Brazil with my family. I had to live my whole life with my family. I have other values that no money can buy." - Source: Metro. I personally don't care for what he is saying now because I loved him when he was here and what he brought to our football club. I never in a million years thought that anyone would ever be able to replace Didier Drogba at Chelsea - and what he gave to the team as a complete player, but Diego Costa did exactly that. Both players are slight in their frame, the are not massive like Romelu Lukaku but just look at how strong they were for us. Look at their ability to hold things up, to win the ball in the air, to create for others, to bully defenders but most importantly of all - to score goals. You always had in the back of your mind the opinion that Diego Costa never really settled down in England. For example, you would only hear small clips of him talking in English to visitors at the training ground or post-match interviews with the players mucking around with the Chelsea TV camera/microphone. Never any official interviews given in English at all. It's no secret that Chelsea struggled to come to terms with life without Diego Costa and the signing of Olivier Giroud has been a start. I personally think that Aleksander Mitrovic at Fulham is close to being up there on a level with Diego Costa and one that the club should be looking to sign next summer if he continues to play as he has started this season. For now, I don't hate Diego Costa or bemoan what he is saying because we all know deep-down that it's true and always seemed to be that way. However, while he was here, he made such an impact and is one player that we will never, ever forget.